What is Ballot Issue 4B? What is SCFD? If you’re like me and you read about 4B in the Analysis of the 2016 Ballot Proposals booklet, you’re now totally confused about what it is and what SCFD does. 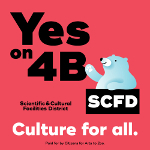 You may have seen the Yes on 4B yard signs – the ones with the polar bear. You may even have seen Popsicle the SCFD polar bear mascot walking around town. But all of that doesn’t mean much if you can’t translate the legal jargon from the booklet. 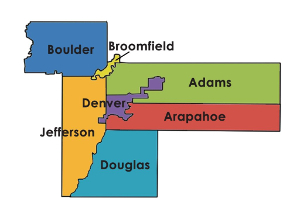 So here’s a quick rundown of what SCFD and Colorado 4B really are and why they are so critical this election. In other words, why you should absolutely vote YES on 4B. SCFD stands for Scientific & Cultural Facilities District. It is funded by a sales tax of one cent on every $10. It is currently in its 28th year. SCFD supports museums like the Denver Museum of Nature and Science and the Children’s Museum, the Denver Zoo, orchestras like the Parker Symphony Orchestra, the Colorado Ballet, and other educational, scientific, and visual and performing arts programs throughout Adams, Arapahoe, Boulder, Broomfield, Denver, Douglas, and Jefferson counties. If you’ve been to any of these, you’ve benefited from SCFD. Attended an orchestra concert or an opera performance? That was funded at least in part by SCFD. Took the family to a Free Day at Four Mile Historic Park or the Denver Art Museum? That was made possible by SCFD. And all for only 1 penny of every $10 you spend! The sales tax of 1 cent on every $10 to fund SCFD is set to expire in 2018. A vote of YES on ballot issue 4B will reauthorize the funds until 2030 and residents of the 7 counties can continue to experience amazing programs and events for years to come – sometimes for free. A vote of Yes will be a vote to continue to bring culture to all. Why is Yes on SCFD so important? SCFD helps organizations in the Denver metro area continue to provide educational and cultural programs to everyone. From Free Days to field trips to special events and exhibits, organizations large and small, SCFD brings culture to all. 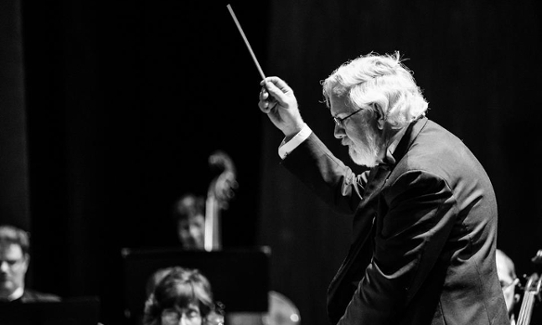 It has helped the Parker Symphony purchase instruments, rent and purchase sheet music for concerts like our Music of John Williams performance, and bring in special soloists and performers. SCFD also generates $1.8 billion annually in economic activity and $520 million in tourism and creates 10,731 jobs. It has served 4.5 million students and 14 million guests. It has elevated the Denver metro area to a world‐class cultural center with 95% growth in attendance since the district began. Please vote YES on 4B on November 8 and help us keep the music playing! Learn more at Yes on SCFD. This entry was posted in Parker Symphony News and tagged community orchestra, news, scfd, symphony by Shari Mathias. Bookmark the permalink.